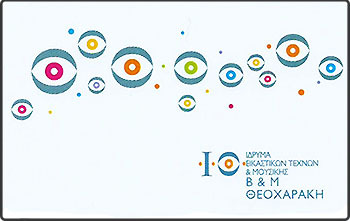 The B & M Theocharakis Foundation for the Fine Arts and Music was founded as a non-profit Foundation for the public benefit in 2004 and ratified by Presidential Decree. The Foundation opened its gates to the public in December 2007. 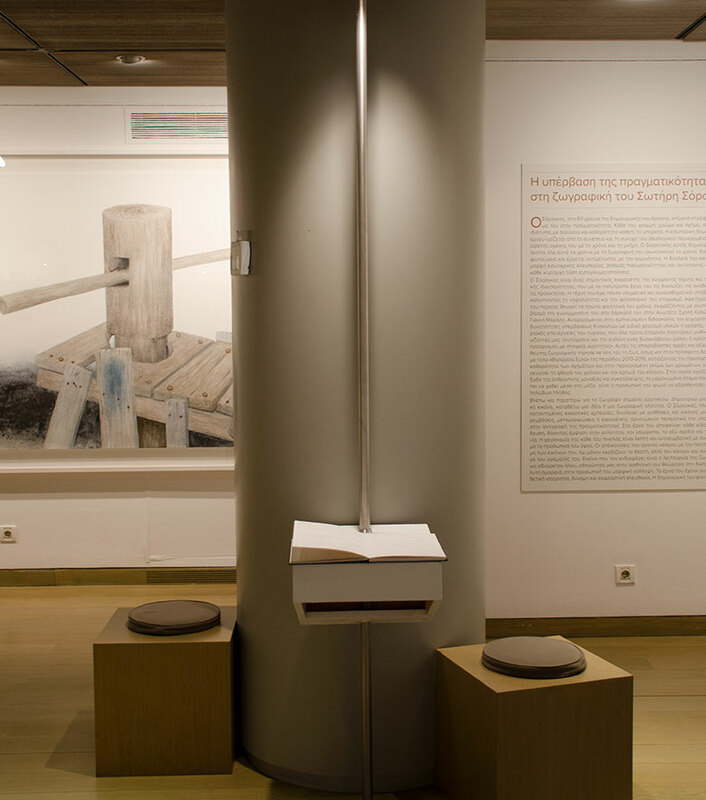 The B & M Theocharakis Foundation is primarily concerned with music and fine arts, both in Greece and internationally, with a focus on the emergence of the Modern and its continued development over the 20th and the 21st century. The Foundation aims to encourage the public to enter into a wide-range and interdisciplinary dialogue with music and visual arts, to promote the work of Greek artists abroad, to employ every means at its disposal to disseminate the content of its activities, and to develop networks facilitating collaboration and exchange. The Foundation seeks to achieve its aims by organizing periodical exhibitions, concerts, lectures, seminars and educational programs. The Foundation wishes to unite families under the shield of spirit and art. Special emphasis is placed on attracting younger visitors, familiarizing them with music and the various artistic forms, cultivating their aesthetic antennas, and also making them feel at ease in a museum context. Bassilis Theocharakis is a versatile personality leading a dynamic and differentiated group of companies covering a huge range of industries such as the automobile industry, the banking sector, constructions and the healthcare system, cosmetics, digital systems and shipping. Painting is a crucial aspect of his life. Along with law school, he studied painting next to the great Greek painter, Spiros Papaloukas. His first exhibition was in 1957 at the International Festival of Youth in Moscow and since then he has exhibited both in Greece and abroad, and many of his works are part of famous public and private collections. He has also been awarded with great honors such as the “Chevalier de La Légion d’ Honneur” by the French Republic, the “Lord of Charta” by the Ecumenical Patriarch of Constantinople, “as well as the “Order of Rising Sun” by the Emperor of Japan. Marina Theocharakis is actively involved with the arts for many years, with countless exhibitions and publications editing. The Foundation is a testament of Bassilis and Marina Theocharakis’ willingness to contribute to Arts and Music in a way that exceeds the individual active participation in the Arts.